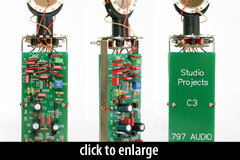 The original Studio Projects / 797 Audio C3 is a multipattern condenser microphone. The circuit is based on the Schoeps transformerless design. The capsule is based on Neuman’s K67. The combination of a brightly voiced capsule with a linear circuit creates the sonic profile that has since become commonplace for microphones imported from China. 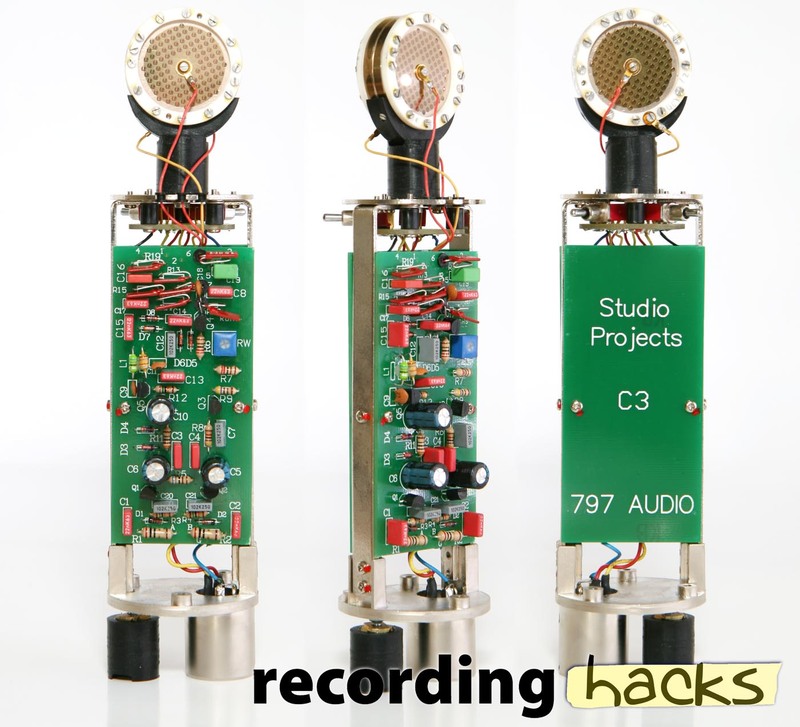 The C3 was better built than many of the internally similar microphones that followed it. It has a 34mm capsule that is a much better copy of the K67 than most of the Chinese-made microphones (which use 32mm capsules). The JFETs were manually biased during assembly, to ensure maximum headroom. Component quality is generally high.